An army of delegates marches on its stomach. At least, we’re pretty sure that’s how the saying goes. Richard Gynn, executive head chef, and Euan Peach, development chef, at Blue Strawberry and Table Talk give their top food tips for 2019. “We have seen a massive increase in demand for health-conscious, vegetarian and vegan offerings in 2018,” says Gynn. “The popularity of bitter drinks such as Aperol Spritz and artisan gins last year opened up our collective palate,” explains Peach. “This is great nutritionally, as bitter foods tend to be good for the gut, and it makes more space for chefs to create an interesting balance of flavours. We’ve seen a lot of kimchi, kefir and kombucha going into dishes this year and I’ve been experimenting with fermentation. The results are really flavoursome. 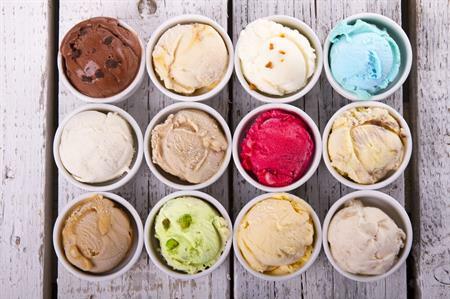 “Ice cream is making a huge comeback in 2019 food trends. I’m working with lots of unusual flavours including Sake, roasted almond and black sesame,” says Peach.